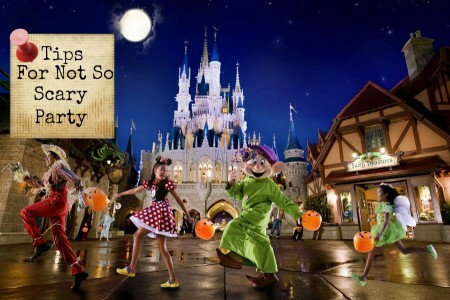 Chic Family Travels is headed to Mickey’s Not So Scary Halloween Party at Disney World next week, so we decided to jog our own memory by giving you our tips on taking the kids to the popular Disney Not So Scary Party. First and foremost, plan ahead to dress up the whole family in Halloween costumes! Okay, so I admit it. We did not dress up to the Mickey’s Not So Scary Party the first year we attended, and we felt like complete LOSERS! 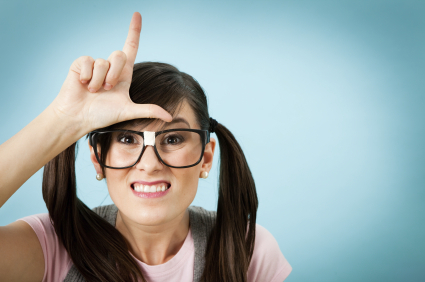 Yes, your entire family MUST dress in Halloween costumes and yes you will feel like a loser if you don’t. Trust me on this one…. I have experience. In fact, the more the better when it comes to costumes at Disney’s Not So Scary Party. You cannot over do it. Someone will have a better and more interesting costume than you, and again you must trust me. It’s not that Chic Family Travels is against dressing up for Halloween. Actually, we dress up for Halloween as a family every year. We just did not get the memo that the Not So Scary Party is also a dress up & costume affair. Still don’t believe me? Here is proof! Do you believe me now?! I will post an update of our fantabulous costumes for the 2013 Mickey’s Not So Scary Party soon. 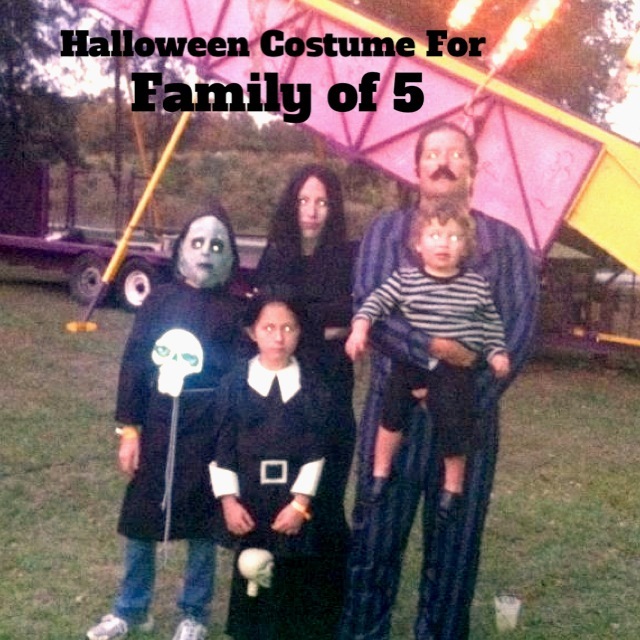 I am still thinking about the best Halloween costume for our family of five. If you have an excellent idea for a group Halloween costume then please let us know! 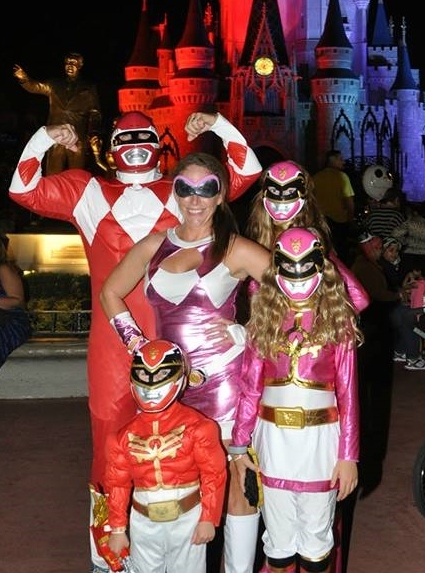 Update: We decided to dress up as power rangers for the Not So Scary Halloween Party. The tween was less than thrilled with my choice, but she did it anyway 🙂 I am sure it will be the last time. Next, you should definitely buy your Not So Scary Party tickets in advance. Not only will you need the time to plan and prepare for your Halloween costumes, but you will also get a much better deal if you buy them ahead of time. Disney often sells out of these tickets prior to the party date. Thus, the tickets are not always available the week of your vacation at Disney World. If the Halloween party tickets are available on the day of the event, they are usually much more expensive! 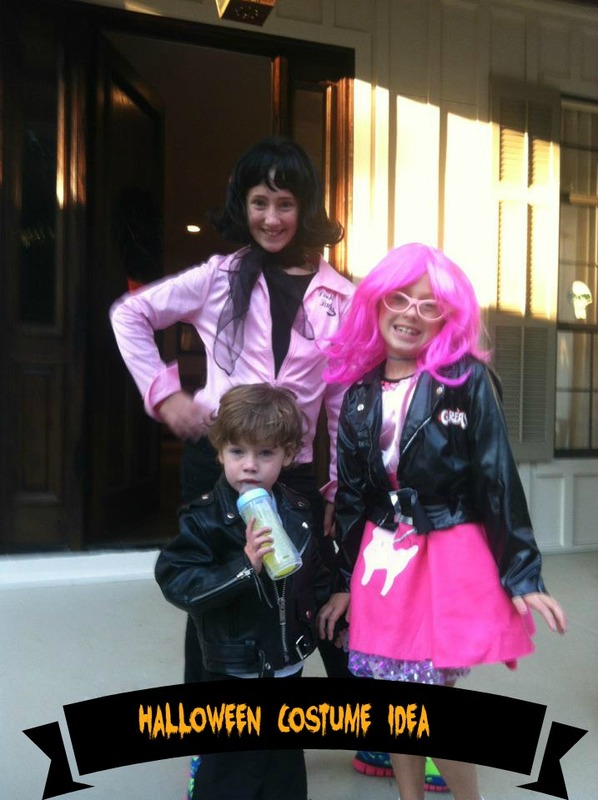 Okay, so here is another Chic Family Faux Pas with regards to the Not So Scary Party at Disney. We arrived at 8pm. The tickets indicated that the party starts at 7pm and we are ALWAYS late, so 8pm was a pretty good arrival time for this posh brood. Little did we know, Mickey’s Not So Scary ticket holders can enter the Magic Kingdom as early as 4pm. Whaaa???? Why did they not tell us? Well, that is precisely the reason why you are reading my article on Tips on Taking the Kids to Mickeys Not So Scary Party. Disney World has hidden Mickey’s and apparently also has hidden entry times. However, it is true that non-party ticket holders must leave the Magic Kingdom by 7pm which is one of the additional reasons that the Not So Scary Party rocks….sometimes. Admittedly, we purchased the Mickeys Not So Scary tickets to hopefully enjoy the Magic Kingdom without the crowds. Apparently, everyone else at Disney World the week of Oct 16th 2010 got the same memo. The Magic Kingdom was really crowded, with one exception. There was literally no one at Space Mountain. Now that I think about it, I should wait to give you my thoughts and opinion on this phenomenon after our visit to Mickeys Not So Scary Party next week. Stay Tuned! However, I have read on many other Disney World bloggers websites that the Haunted Mansion is always more crowded on the Halloween party nights. Therefore, I would suggest that you do in fact lay your hat on that tip for the Not So Scary Party. Don’t waste your time on the Haunted Mansion at the Magic Kingdom at the Not So Scary party. Admittedly, we waited in line for the Haunted Mansion on the night of the Not So Scary Party for longer than you want to know. Just don’t do it. Finally, my last tip is to enjoy the Boo To You Parade and Hallo Wishes fireworks display. Stay tuned, as I am hopefully less clueless and more informative after my next Not So Scary Party. Although I will still give it to you straight, as I have a limited filter.